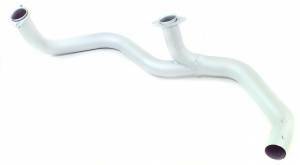 Description: Our Replacement Y-Pipes are made with Aluminized Steel, 2½" 16Ga? Mandrel Bent Tubing and enters the Catalytic with a 3" Collector. System comes complete with all necessary mounting hardware needed to complete the install. Description: 1 5/8" headers with 2.5" Y-pipe and a 3" Collector. 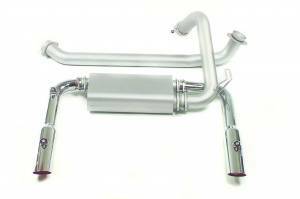 This system has Ceramac Headers with an Aluminized Steel Y-Pipe. The MAC Header system will include all necessary Hardware, Air Tubes and Sensor Bosses where required. Added 21 RWHP!